Home » My Practice » Joshua M. Hickman, M.D. Thank you for choosing Joshua M. Hickman, M.D. and the Mountain Orthopedics Center of Joint Preservation, Joint Replacement and Resurfacing. We are recognized throughout the intermountain west and nation as a leader in minimally invasive joint replacement and resurfacing. We are also recognized for joint preservation procedures such as hip arthroscopy for femoroacetabular impingement (FAI), labral pathology, and other malformations relating to the hip and knee joint. Dr. Hickman received his undergraduate degree from Davidson College in history and music. He received his medical degree with highest honors from the University of North Carolina where he also was a research fellow in the distinguished medical scholars program. 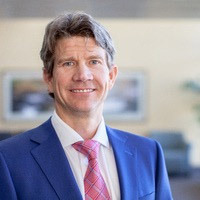 He performed his residency training in orthopedic surgery at the University of Utah and completed a fellowship in complicated joint reconstruction and minimally invasive hip and knee replacement in Chicago at Rush Presbyterian St Luke's Medical Center. Dr. Hickman's other interests consist primarily of spending time with his wife, Carolyn, and three sons. He also enjoys cycling, ski touring, Nordic skiing, music (violin), and outdoor pursuits (hunting and fly-fishing). 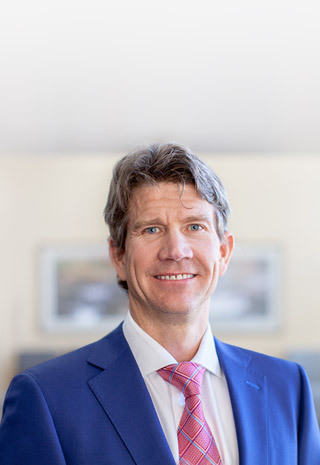 As a Joint Reconstruction Fellowship trained surgeon, Dr. Hickman has performed thousands of less invasive hip replacements through minimally invasive approaches such as the Direct Anterior Approach. He is particularly interested in less invasive forms of knee replacement. He performs partial (ligament sparing) knee replacement, bicruciate or anterior cruciate ligament sparing total knee replacement and resurfacing, shoulder replacement and hip resurfacing. By specializing in these areas, he has been able to provide more energy to improving the surgical and recovery process. His team has developed a comprehensive program focusing on advanced surgical and anesthetic techniques, accelerated rehabilitation and nutrition programs, and an exhaustive patient education process. As a result, patients are recovering from their surgery more rapidly, with less pain and disability, and hopefully with less complication and less disruption to their lives. Dr. Hickman established one of the first national centers for Robotic Knee Replacement. He currently serves on a national faculty board that trains and certifies surgeons to use the Mako Robotic Total Knee Replacement. The goal of this website is to provide you, the patient, with education regarding your diagnosis, surgical problem, surgical preparation, hospital admission, surgical treatment, and rehabilitation. Every detail in the process - prehabilitation, preoperative teaching, hospital check-in and surgery, the recovery and post-surgical rehabilitation - is reviewed. Please refer to this website throughout the process and contact our office with any questions.